I am republishing this post in response to a request from Freespirit who correctly sees a need for available fact in response to the mythology and spin still being advanced in certain quarters. Since it was originally published, a New York Times investigation claims to have found the notorious and offensive anti-Islam video indeed to have been a factor in the Bengjazi unrest of 9/11/12. As with all media investigations, we should withhold a blind embrace based solely on the conclusions drawn by the authors. We have seen how it is possible for media investigators, via negligence or intent, to influence outcomes. Today, the State Department released a statement designating two of three terrorist organizations as having been actors in the Benghazi attacks. Some will remember that Victoria Nuland, then State Department spokesperson, hesitated to finger a specific organization in the early days after the Benghazi attacks, absent hard evidence, as demonstrated in the vast exchange of emails among her “building,” the White House, and the CIA. Some were pushing to have Ansar Al-Shari’a named at the time. The State Department acted out of an abundance of caution then and today designated that organization as an agent. That much established, here is the original post from May 10, 2013. Myth: Hillary Clinton said the attack on the Benghazi installation was an outgrowth of a demonstration against an anti-Islamist video on the internet. Not exactly. Here are her words on September 12, 2012. We are working to determine the precise motivations and methods of those who carried out this assault. Some have sought to justify this vicious behavior, along with the protest that took place at our Embassy in Cairo yesterday, as a response to inflammatory material posted on the internet. There were demonstrations against such a video at many U.S. embassies world-wide and in the region, however. This Wikipedia entry gives a pretty complete treatment. All of these embassies were under the oversight of the State Department. The American School in Tunisia was destroyed. Secretary Clinton, just back from a tour that ended in Vladivostok, did have her hands full, but she did not blame this attack on the video. Myth: She blamed the attack on the video at the Transfer of Remains Ceremony at Andrews AFB on the 14th. Nope again. She referred to the demonstrations above, but she did not say they caused the attack. Speaking of Ambassador Chris Stevens she said this. The President of the Palestinian Authority, who worked closely with Chris when he served in Jerusalem, sent me a letter remembering his energy and integrity, and deploring – and I quote – “an act of ugly terror.” Many others from across the Middle East and North Africa have offered similar sentiments. Spin: Gregory Hicks, demoted for speaking out. Leaving aside for the moment that you chose to speak to a Congress person without a lawyer present as that terrible witch Cheryl Mills pointed out to be State Department protocol, let’s look at what you did do. Left in charge of Embassy Tripoli on September 11 with four special forces in place, contacted by Ambassador Stevens (who had the other six special forces assigned to Embassy Tripoli with him in Benghazi), and told the installation was under attack, you thought it would be a great idea to send the last four special forces in Tripoli 400 miles away. This, while embassies across the region and beyond were subject to rather aggressive demonstrations. Let’s also leave aside the logistics of getting those forces to Benghazi in time to do anything to help. There were two things that were unknown. First, was the Benghazi attack a distractor and precursor to a bigger attack on Embassy Tripoli (of which you were in charge)? Second, is there another attack coming in Benghazi? The second happened to be the case. But Hicks decided it made the best sense to send the last remaining forces out of Tripoli. Is this who should be chief of any mission? Or second in command? If you have ever been in charge of anything, you know the answer to this question. If you are a mom, you know the answer. It remains up to us, Hillary’s loyalists, to keep a record of the truth and to provide it as needed in debates over Hillary’s words and actions. We all need to remain attentive and vigilant and to share as necessary to protect our girl from the slander and lies of those who would denigrate her performance. Hillary! We’ve got your back! 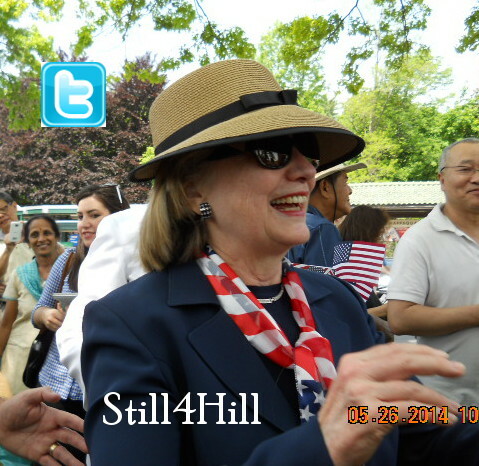 While we Still4Hillers are the first to applaud a vacation for our hard-working Hillary, we are also the ones who miss her so much when she does take one that we occasionally need a Hillary-fix. 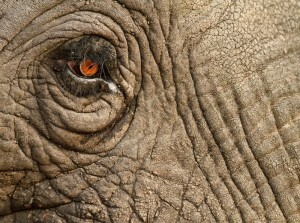 I do not usually post articles like this although I did bookmark it as soon as I saw it. It has occurred to me that folks here might like to have it as well. It is a pretty good reference in case we ever need these quotes for some reason. 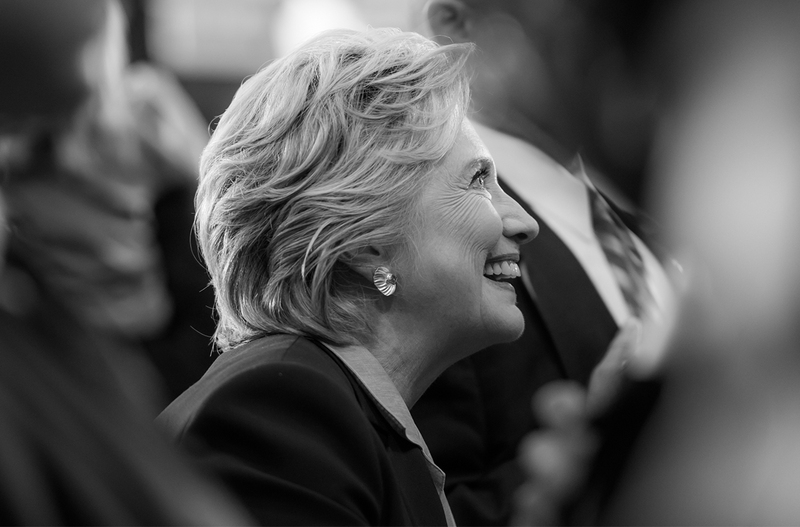 So here is a compendium of great Hillary quotes thanks to Nico Lang at ThoughtCatalog.com. This photo is from the swearing-in of Mike Hammer as Assistant Secretary of Public Affairs (<- the video is at this post). You may remember that Mike appeared at the State Department not long after the resignation of P.J. Crowley as State Spokesperson and was expected to replace P.J. Ultimately, Victoria Nuland, who had acted as spox after P.J.’s resignation, was named to that post now occupied by Jen Psaki. Victoria, in turn, has moved up to become Assistant Secretary of State for European and Eurasian affairs. Mike was a model of patience through it all, so we applauded his good humor at his installation. If he would like the role of Robin to Hillary’s Batman, it is his for the asking. He gave us one of the funniest official moments of 2012, and we hope he is enjoying his job. Do go back and see that video if you never have. Meanwhile, here are the badass Hillary quotes. You never know when or why you might need them! During an interview in Bishkek, Kyrgyzstan, a moderator once asked Hillary Clinton who her favorite designers were. 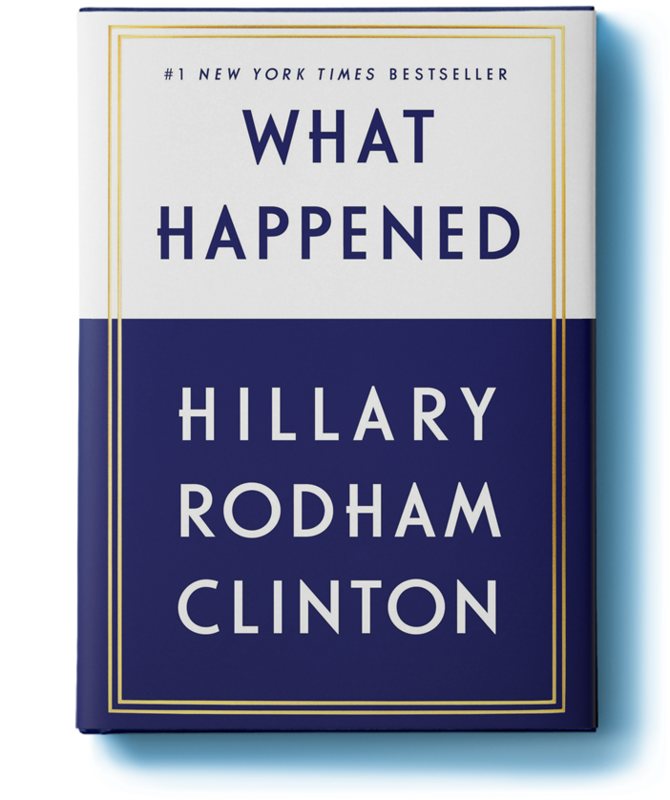 Instead of playing along, she shot the question down entirely: “Would you ask a man that question?” Hillary Clinton is a total BAMF, and these quotes prove why. Whether she’s texting her BFF Michelle Obama or hanging out in an airplane hanger with her sunglasses on, Clinton has out badassed all of us. She shouldn’t just be the next president. 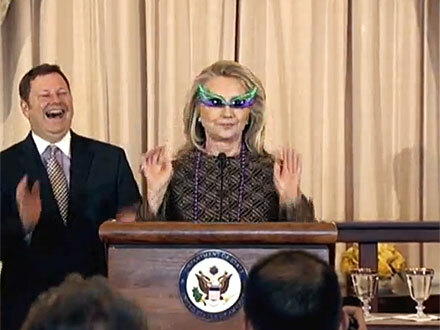 Hillary Clinton should be the next Batman. When PJ Crowley stepped aside as State Department spokesperson two years ago, Victoria Nuland assumed that post. As such, her words frequently occupied these pages. Toria, as she is called, was the DOS officer who expressed her department’s concerns and advice regarding the talking points issued after the 9/11/12 attacks on U.S. outposts in Benghazi, Libya. She was also the person who painstakingly informed the press on a daily basis of progress of the ARB investigation and the department’s cooperation with Congress and agencies in the days, weeks, and months following those attacks. Toria is a career Foreign Service officer. As such, she has worked under a variety of administrations. 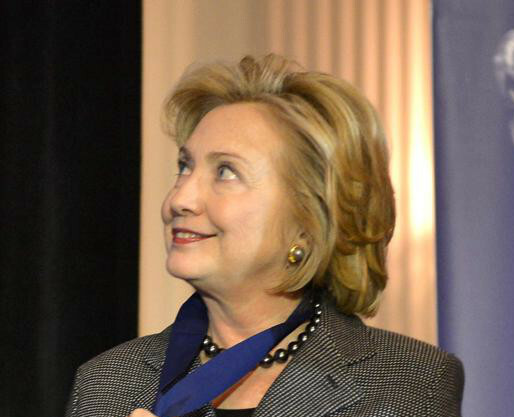 While serving as DOS spokesperson, she demonstrated a singular loyalty to Hillary Clinton, the kind we might expect to see from staff Hillary brought to DOS from the Senate. Especially toward the end of Hillary’s tenure, when she was ill and working from home, Toria was the guard dog against intrusiveness from the press on personal issues of health. So it is with a great deal of pleasure that we see Toria receive this nomination today. She has served well all of her professional life and well deserves ascension to this post. Good luck in your confirmation, Toria! We are pulling for you! President Obama on Thursday nominated Victoria Nuland, a State Department official involved in the editing of the administration’s talking points on Benghazi, to be the next assistant secretary of state for European and Eurasian affairs. Nuland, a career foreign service officer who was until recently State’s top spokesperson, had long been expected to be nominated the post to replace Philip Gordon, who Obama picked to serve as Middle East coordinator for the National Security Council. OGNEN TEOFILOVSKI/Reuters – Former U.S. ambassador to NATO Victoria Nuland visits Skopje, Macedonia, in this April 9, 2008 file photo. President Obama said Thursday that he plans to nominate Victoria Nuland as assistant secretary of state for Europe and retired Gen. Douglas E. Lute as ambassador to NATO.Nuland, the former State Department spokeswoman, has been accused by Republicans of helping mislead Congress and the public about last year’s attacks in Benghazi, Libya, that killed four Americans, including Ambassador J. Christopher Stevens. “My building leadership,” he insisted had to mean Hillary Clinton. Never much of a grammarian, he would not recognize Toria’s careful use of “they are” as opposed to “she is.” Further, though, his frustration stems from his total disinterest in anything and everything Hillary from the moment she entered the State Department, a disinterest suddenly shattered when he and his cohorts in the media decided she must be the Dem ticket for 2016. Had he been paying attention, he would have known that Victoria is very careful grammatically, that there is jargon spoken at the State Department, and that Toria, a career Foreign Service officer, speaks it fluently. Hillary Clinton had already prepared herself for this language experience the day she first set foot in Foggy Bottom as SOS. Now, as you may have heard percolating through the building, you know, when I was first nominated, I realized that there was this living, organic creature known as the building. It is clear to anyone who has taken the time and pains to follow Hillary Clinton at State that Toria was referring to leadership at a level lower than the secretary who have experience with the kind of wordsmithing that was going on in these emails. 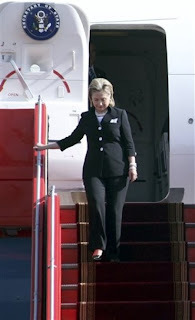 As a special treat for readers, here is our Hillary on her first encounter with the building. President Obama set the tone with his inaugural address. And the work of the Obama-Biden Administration is committed to advancing America’s national security, furthering America’s interests, and respecting and exemplifying America’s values around the world. (Applause.) There are three legs to the stool of American foreign policy: defense, diplomacy, and development. And we are responsible for two of the three legs. And we will make clear, as we go forward, that diplomacy and development are essential tools in achieving the long-term objectives of the United States. And I will do all that I can, working with you, to make it abundantly clear that robust diplomacy and effective development are the best long-term tools for securing America’s future. (Applause.) In my testimony before the Foreign Relations Committee, I spoke a lot about smart power. Well, at the heart of smart power are smart people, and you are those people. And you are the ones that we will count on and turn to for the advice and counsel, the expertise and experience to make good on the promises of this new Administration. I want to thank Steve for his comments that really summarized the full range of experience and expertise of both the Foreign Service and the Civil Service, and also to send my appreciation to all of the nationals around the world who work in our embassies and work with government officials. This is going to be a challenging time and it will require 21st century tools and solutions to meet our problems and seize our opportunities. I’m going to be asking a lot of you. I want you to think outside the proverbial box. I want you to give me the best advice you can. I want you to understand there is nothing that I welcome more than a good debate and the kind of dialogue — (applause) — that will make us better. (Applause.) We cannot be our best if we don’t demand that from ourselves and each other. I will give you my very best efforts. I will do all that I can, working with our President, to make sure that we deliver on the promises that are at the very core of what this new Administration and this new era represent. So we need to collaborate, and we need to have a sense of openness and candor in this building. And I invite that. Now, not everybody’s ideas — (applause) — will make it into policy, but we will be better because we have heard from you. I also want to address a word to the USAID family. I will be there tomorrow to greet them and thank them for the work they’ve done on behalf of development through some very difficult years, because they will be our partners. (Applause.) Now, as Steve candidly said, so far, we’re thrilled. (Laughter.) This is not going to be easy. (Laughter.) I don’t want anybody to leave this extraordinarily warm reception thinking, oh, good — (laughter) — you know, this is going to be great. It’s going to be hard. But if it weren’t hard, somebody else could do it, besides the professionals of the Foreign Service and the Civil Service and our Diplomatic and Development Corps. (Applause.) Now, as you may have heard percolating through the building, you know, when I was first nominated, I realized that there was this living, organic creature known as the building. (Laughter.) And as you probably already know, we are expecting the President and the Vice President to be here in the State Department this afternoon. (Applause.) Among the many conversations that I’ve had with the President and with the Vice President, over years, but certainly much more astutely and in a concentrated way in the last weeks, we want to send a clear and unequivocal message: This is a team, and you are the members of that team. There isn’t anything that I can get done from the seventh floor or the President can get done from the Oval Office, unless we make clear we are all on the American team. We are not any longer going to tolerate the kind of divisiveness that has paralyzed and undermined our ability to get things done for America. So the President will be here — (applause) — on his second day in office to let all of you know, and all who are serving on our behalf around the world, how seriously committed he is to working with us. So this is going to be a great adventure. We’ll have some ups and some downs. 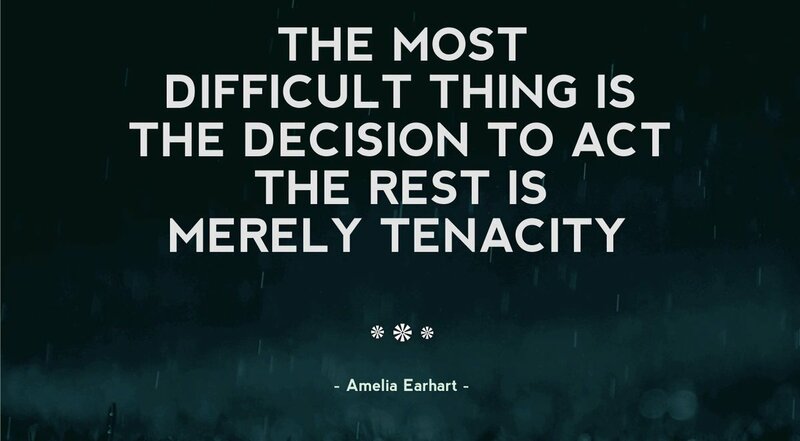 We’ll face some obstacles along the way. But be of good cheer — (laughter) — and be of strong heart, and do not grow weary, as we attempt to do good on behalf of our country and the world. I think this is a time of such potential and possibility. I don’t get up in the morning just thinking about the threats and the dangers, as real as they are. I also think about what we can do and who we are and what we represent. So I take this office with a real sense of joy and responsibility, commitment and collaboration. And now, ladies and gentlemen, let’s get to work. (Applause.) Thank you and God bless you. During today’s press briefing, Victoria Nuland deferred to the Congressional committees to announce the schedules for Secretary Clinton’s testimony on Benghazi and offered some insight as to what her testimony will include. In addition, she provided a peek at some of Mme. Secretary’s bilaterals this week. Here is a snip of the transcript. QUESTION: Do you have any update on when the Secretary might testify? And could you also tell us how her preparation is going, what she’s doing to prepare for that testimony on Capitol Hill? MS. NULAND: Well, with regard to the consultations that we’ve had with the Congress on the timing, I’m going to defer to the two committees to announce the hearings when they’re ready to do so. But we did talk about these happening after both houses come back into session next week. So we will defer to them on any formal announcements. Secretary is doing what she always does. She is going through all the steps that this Department is taking to implement the recommendations of the Accountability Review Board. I think you’re aware that – well, first and foremost, as you know, she’s made a commitment that all 29 recommendations will be implemented and that the implementation should be well in train before she finishes here. 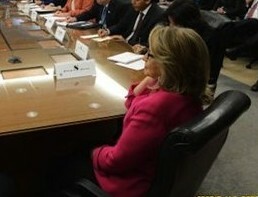 So I think she’ll want to update the committees on implementation. As you know, Deputy Secretary Nides is leading an implementation process here in the building. I think he’s having his 11th meeting with the various stakeholders this week to get that work – as many of the short-term recommendations completed as possible, the medium-term ones well underway, and the longer-term ones well set up. So I think you’ll hear a good accounting from her on all those things when she testifies. QUESTION: And this is an important week because it’s the week before the inauguration. I think you were mentioning that perhaps we might see some meetings that she would have with foreign visitors. Can you – is there any schedule information that you can share with us at this point about what the Secretary will do this week? MS. NULAND: I think we did put out some scheduled things over the course of the week. MS. NULAND: She’s going to see Ellen Sirleaf Johnson of Liberia tomorrow. She’s also seeing her Colombian counterpart. I think that one is tomorrow as well. As we said, the Somali President will be here on Thursday. We’ve already announced the visit of the new Foreign Minister – Foreign Secretary of Japan – Mr. Kishida will be here on Friday. So it’s a busy diplomatic week. QUESTION: So these would be more – let’s call them working on the relationship issues in the relationship, as opposed to farewell, right? 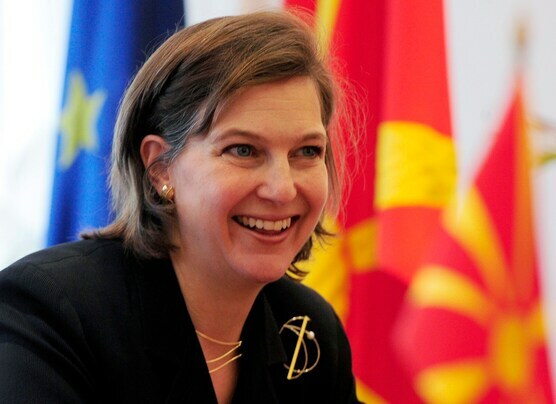 MS. NULAND: Oh, all of these are working visits of foreign ministers or heads of state continuing the bilateral and regional work that we do together, yes. Apparently Congress was willing to accommodate the State Department by not waiting to be back in session. CNN’s Jill Dougherty just posted this on Facebook. Rep. Ed Royce (R-CA), Chairman of the House Foreign Affairs Committee, announced that Secretary of State Hillary Clinton will testify before the Committee on Wednesday, January 23 to answer questions about the September 11, 2012 terrorist attack on U.S. diplomatic facilities in Benghazi, Libya. In the attack, terrorists killed Ambassador Chris Stevens, Sean Smith, Tyrone Woods, and Glen Doherty. At today’s press briefing, Victoria Nuland reported that the date for Mme. Secretary’s visit to Capitol Hill has yet to be set. 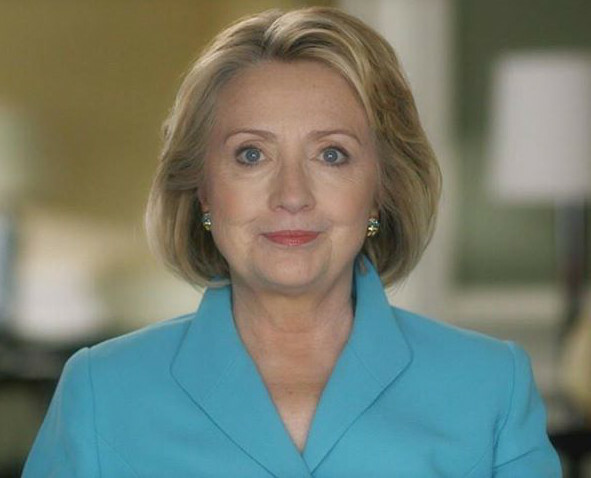 QUESTION: Can I ask you about Benghazi – excuse me – the Secretary’s testimony? There was a date floated out yesterday by Senator Corker. I think it was January 22nd, if I’m correct. Has that been confirmed? MS. NULAND: It is not yet. We are continuing to work with both the House and the Senate. As I said, we can’t do it before that week, obviously, because they are out of session. But we have to – we have not yet closed with the committees on the precise date. QUESTION: But you could do the House the week earlier? Do you anticipate it would be the same day? QUESTION: Like how it usually is? MS. NULAND: Yeah, that she would go up once, she would do the House and the Senate is usually the way we do it. Yeah. 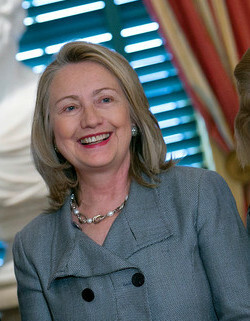 This is an example of why I prefer primary sources when I post here about Secretary Clinton. Senator Corker was on MSNBC this morning and suggested that if Mme. Secretary can testify on Benghazi on January 22, perhaps as early as that afternoon the Senate Foreign Relations Committee, under the direction of the future chair, Robert Menendez (congratulations, Bob), will confirm current chair, John Kerry as Secretary of State. Here is how Politico picked it up and reported it. 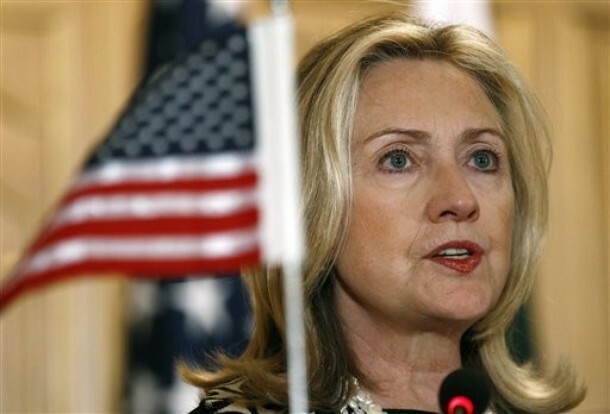 Secretary of State Hillary Clinton will likely testify Jan. 22 before the Senate Foreign Relations Committee on the deadly U.S. Consulate attack in Benghazi, the panel’s top Republican said Tuesday. Sen. Bob Corker (R-Tenn.) said on MSNBC that he has spoken with Clinton’s chief of staff and said she seems “anxious” to testify on the Hill, following weeks of hospital visits after a concussion. “I think they feel she’s going to be healthy enough to come in that day,” he said. “If that were to occur, and again this is Sen. [Robert] Menendez’s decision, we could move very quickly, maybe even that afternoon, to Sen. [John] Kerry’s [nomination] hearings. By this afternoon it was viral that this date was “set.” Whoa, Nellie! It was not until after 4:30 this afternoon that that daily press briefing notification went out, but it was another hour or so before the transcript was actually posted. What Victoria Nuland said is at odds with what Politico reported. QUESTION: And any updates (inaudible) on the issue about when the Secretary could testify on Benghazi and when the confirmation hearing for Senator Kerry could be held? MS. NULAND: We’re still working with the Hill on all of those things, but I think we talked in some detail yesterday about the expected timing. They’re not coming back to work – the committees are not – until after the inaugural. QUESTION: What is the Department’s preferred sequence in those hearings? 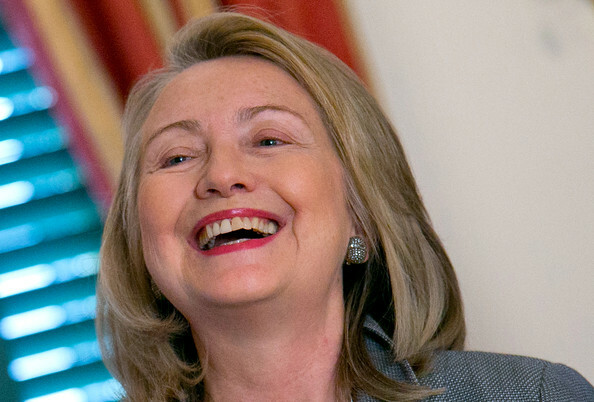 That the confirmation hearing should precede the Benghazi hearing, or vice versa? MS. NULAND: I don’t think we’re going to negotiate that here with you all. We’re working on it with the Hill to make sure that it’s appropriate for their needs and for ours. But as I said, the goal on our side is that we would have the Secretary able to testify, as she’s promised to do while she’s still sitting Secretary, but also have the confirmation hearing as quickly as appropriate after they come back in. QUESTION: And just for the record, why is it important to the Secretary that her testimony on this matter should unfold while she is sitting Secretary? MS. NULAND: Well, I think that’s appropriate. That’s what the Hill seems to want, and that allows her to complete her obligations as Secretary while she’s Secretary. Makes sense. QUESTION: Then this would have to be done rather quickly. In theory, you wouldn’t want to have a confirmed Secretary, next Secretary waiting around until this happens, right? MS. NULAND: I think we are hopeful that we can work this all through very smoothly with the committees. So in fact, as late as this afternoon, nothing has been set – demonstrating why this blog, when it loses the primary source at the State Department will not be resorting to secondary sources unless confirmation can be made. It is going to be a hard slog, folks. All we really know is that Secretary Clinton has ordered all of the ARB recommendations to be implemented, that she is committed to cooperating with the committees, and that she intends to testify as sitting SOS.